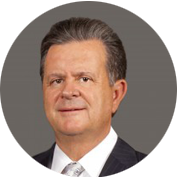 Phillip C. Hoopes, MD is one of the most recognizable names in corrective vision surgery. He was one of the first laser eye surgeons in the United States. He is the most experienced LASIK surgeon in Utah and one of the most experienced in the country. Dr. Hoopes is a Utah native and graduate of the Wake Forest University School of Medicine in Winston-Salem, North Carolina. He completed his eye surgery training at the prestigious University of Iowa Eye Center, voted one of the top three residencies in the country. After his residency, Dr. Hoopes did additional fellowship training in cataract, implant, and laser surgery in Savannah, Georgia. More recently, in June 2007, Dr. Hoopes received his Executive MBA from the Kellogg School of Management at Northwestern University. In 1984, Dr. Hoopes established The Eye Center of Kansas City in Overland Park, Kansas. Performing over 3,000 surgical procedures a year, he received referrals from throughout the United States and around the world. He was one of the first eye surgeons in the country to perform one-stitch and no-stitch cataract surgery and helped pioneer astigmatism surgery. He has designed numerous surgical instruments that are still in use today. Dr. Hoopes has been performing refractive surgery since 1983 and was one of the first Midwest surgeons to perform radial keratotomy. His Kansas City practice was one of the few centers in the country to be involved with the FDA clinical trials and testing that led to the approval of many of the laser systems used today for LASIK surgery. Dr. Hoopes also performed the first Summit Technology laser procedure for myopia and astigmatism after FDA approval on March 16, 1998. He was a member of the Massachusetts Eye and Ear Infirmary at Harvard University, a clinical assistant professor of ophthalmology at Kansas University Medical Center, and served briefly as a clinical professor of ophthalmology at the John A. Moran Eye Center at the University of Utah. In May 2000, Dr. Hoopes founded Hoopes Vision in Sandy, Utah. The ultramodern facility brought many advances in surgical vision correction to the area, including the Salt Lake City area’s first blade-free LASIK procedure, Utah’s first wavefront-optimized LASIK procedure, and the first surgery center in the world to acquire multiple cataract laser platforms, to name just a few. In January 2013, Dr. Hoopes relocated the practice to its current facility in Draper, Utah, just a few miles from the original location. In this new, larger facility, designed from the ground up for eye surgery, Dr. Hoopes has continued his commitment to embracing the newest, most promising developments in vision correction technology. Some milestones at the new center include the first KAMRA corneal inlay procedure in the United States after FDA approval, as well as Utah’s first Zeiss VisuMax laser system, the only one capable of performing the ReLEx SMILE procedure. Dr. Hoopes and his wife, Marilyn, are parents to five sons and three daughters.